The official National Park Service package for families coming to the Pearl Harbor Visitor Center! The Pearl Harbor Family Package is recommended to all families visiting the USS Arizona Memorial and the Pearl Harbor Visitor Center, traveling with kids from 3 to 13 years of age. Don’t miss the opportunity to educate and bond with you children, while you both learn of the events of Dec 7, 1941, a day that will live in infamy. 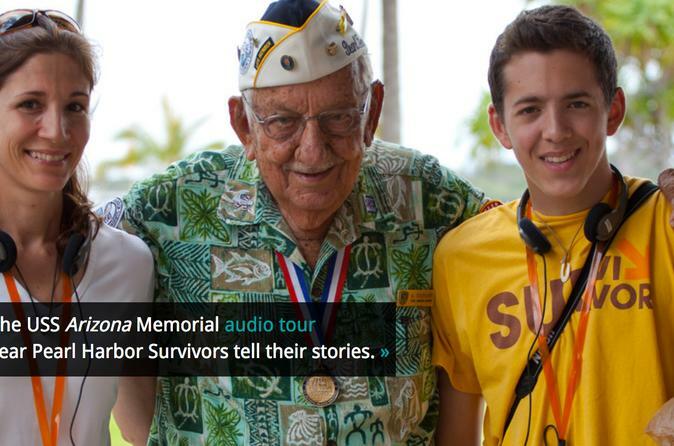 Additional USS Arizona Memorial Narrated Tours are available for $7.50 each, which can be purchased upon check in. Additional Junior Ranger Books are available at $3.00 each. Junior Ranger books are available in English, Japanese and Mandarin. This program does not include the movie/boat tickets to the USS Arizona Please visit the National Park Service website at recreation.gov (Toll free US/ Canada 1-877-444-6777), tickets are available two months out and are only $1.50 each. Or come early, each day there are an additional 1,300 free tickets given out at the Pearl Harbor Visitor Center on a first come, first serviced basis; gates opens at 7am.